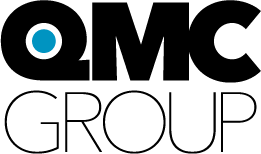 Except where otherwise indicated, the Site and all text, images, graphics, photographs, drawings, designs, audio, video, data, software, files, trademarks, service marks, trade names, and other information contained on the Site, are the exclusive property of The QMC Group. You may not reproduce, copy, retransmit, or modify any of the content of the Site without the express written authorization of The QMC Group. The Site contains links to other sites on the Internet. These links are provided for your information and convenience. The linked-to sites are not under the control of The QMC Group Solutions. The QMC Group makes no warranties, endorsements, recommendations, or representations whatsoever concerning the content of these other sites. THE INFORMATION AND MATERIALS ON THIS SITE ARE PROVIDED ON AN "AS IS", "AS AVAILABLE" BASIS. The QMC Group DOES NOT GUARANTY THAT ANY INFORMATION ON THE SITE IS ACCURATE OR CURRENT. THE QMC GROUP MAKES NO WARRANTY OF ANY KIND, EITHER EXPRESS OR IMPLIED, WITH RESPECT TO THE SITE. ALL IMPLIED AND STATUTORY WARRANTIES, INCLUDING BUT NOT LIMITED TO, THE WARRANTY OF MERCHANTABILITY, THE WARRANTY OF FITNESS FOR A PARTICULAR PURPOSE, AND THE WARRANTY OF NON-INFRINGEMENT OF PROPRIETARY RIGHTS, ARE EXPRESSLY DISCLAIMED TO THE FULLEST EXTENT PERMITTED BY LAW. THE QMC GROUP RESERVES THE RIGHT TO CHANGE THE CONTENT OF THE SITE AT ANY TIME WITHOUT NOTICE. TO THE FULLEST EXTENT PERMITTED BY LAW,THE QMC GROUP EXPRESSLY DISCLAIMS ALL LIABILITY FOR, AND YOU AGREE TO INDEMNIFY AND HOLD THE QMC GROUP HARMLESS FOR, ANY DAMAGES OR LOSSES AS A RESULT OF YOUR USE OF OR INABILITY TO USE THE SITE, THE INFORMATION YOU PROVIDE TO THE SITE, OR YOUR RELIANCE ON THE INFORMATION CONTAINED ON THE SITE. Any transaction or occurrence in connection with the Site shall be deemed to have been entered into or to have occurred in the State of New York and shall be governed by the laws of the State of New York. Jurisdiction and venue for any and all disputes arising from your use of the Site shall lie exclusively in the state and federal courts in and for Onondaga County, New York. You are solely responsible for the content that you submit to the Site in connection with an order for online services, including but not limited to all text, images, graphics, logos, videos, materials, or other information (collectively "Your Content"). You acknowledge and agree that The QMC Group has no independent responsibility to verify the accuracy of Your Content once it is submitted to the Site. The QMC Group warrants only that the online services shall be delivered in material compliance with these Additional Terms and Conditions and will materially reflect Your Content as submitted to the to the Site. Your sole and exclusive remedy for breach of this Warranty shall be to receive a credit toward a future order for Online Services equal to the amount paid (less postage). When you submit Your Content to the site, you warrant and represent that you have all necessary rights in Your Content and that neither Your Content, nor the use of Your Content in connection with the Online Services, violates the intellectual property or other rights of any third party. You agree to defend and to indemnify The QMC Group from and against any and all liability, damages, costs, and expenses (including reasonable attorney fees) arising from claims that Your Content or the use of Your Content in connection with the online services, violates the intellectual property or other rights of any third party. The QMC Group may refuse to accept any order for Online Services or to terminate or suspend any order for Online Services, at any time in its sole discretion. EXCEPT AS EXPRESSLY SET FOR HEREIN TO THE CONTRARY, THE QMC GROUP MAKES NO WARRANTIES, EITHER EXPRESS OR IMPLIED, IN CONNECTION WITH THE ONLINE SERVICES, AND ALL SUCH WARRANTIES, INCLUDING ANY IMPLIED WARRANTIES OF MERCHANTABILITY OR FITNESS FOR A PARTICULAR PURPOSE, ARE HEREBY EXPRESSLY DISCLAIMED. IN NO EVENT SHALL THE QMC GROUP BE LIABLE FOR ANY INCIDENTAL, CONSEQUENTIAL, INDIRECT, OR EXEMPLARY DAMAGES, INCLUDING BUT NOT LIMITED TO LOST PROFITS, EVEN IF THE QMC GROUP WAS ADVISED OF THE POSSIBILITY OF SUCH DAMAGES.